A rise in the industrial Internet of Things and product data management is helping to make factories and the people working in them more efficient. In the past decade, smart technology gained a negative reputation around U.S. factories, often considered the reason that manufacturing jobs have dropped from a peak of 20 million in 1970 to just 12 million today. 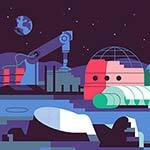 And at first glance, this makes sense—the Center for Business and Economic Research at Ball State University determined that of the 5.6 million manufacturing jobs lost from 2000 to 2010, 85 percent are attributed to technological advance. But not all smart tech is created equal. 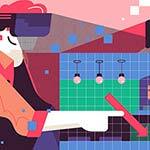 Some tools, such as the low-cost sensors and software behind product data management and product lifecycle management, actually enable factories to maintain, and even improve, manufacturing jobs. Imagine a traditional factory line: If a machine breaks down or a station goes unmanned, the entire line, and everyone working on it, comes to a halt. That affects production, which affects revenue, as well as wages for hourly or daily employees. Sometimes it’s easy to see why a machine has broken down—a certain piece has chipped or fractured. Other times it’s not that simple—the machines only break down when humidity reaches a certain level, for instance, but the humidity only reaches that level in a few of the factories where the machines are used, and no one’s monitoring the humidity, anyway. Now imagine if every machine, product, and tool along the manufacturing sequence had a smart sensor that measured performance and surrounding environmental conditions. If the data gathered by those sensors, which are connected through the industrial Internet of Things, is analyzed in real time using product management software, engineers and managers can find correlations that were previously quite difficult to determine. The hypothetical humidity case actually comes from Wrenn’s experience. One of PTC’s clients was seeing regular breakdowns in a certain set of machines across multiple factories. PTC set up their software and realized that the only machines breaking down were the ones in high-humidity areas of the factory. Fixing the humidity fixed the machines, at a cost significantly lower than if each machine had to be replaced. PTC has also helped a race-car company manage the high-resistance areas of its vehicles and a shoe company fix an inefficiency in attaching a specific sole to specific types of shoe. As the Internet of Things and the data it collects expand, product data management is on track to become a staple of the factory workflow, in manufacturing ranging from medical devices to airplanes. Industry experts have warned that there may be more hype than true promise, but that hasn’t stopped the big companies from investing heavily—in 2016, General Electric (GE) committed more than $1 billion to putting sensors on equipment to capture performance data. Data management is not inherently about making machines stronger. 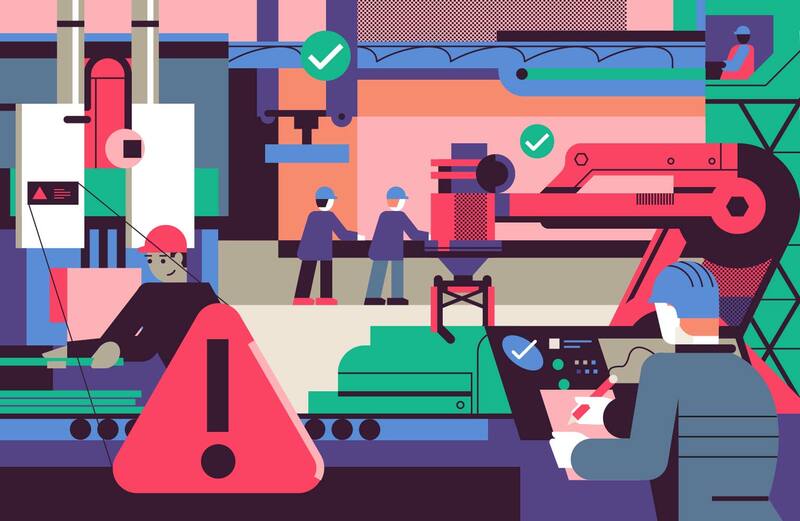 Rather, it’s about allowing the human beings operating those machines to make smarter decisions, ultimately creating a stronger and safer factory ecosystem for maintenance engineers, operational managers, and the people working on the floor.